Lorraine Popham is a full ADI (Approved Driving Instructor) of the Folkestone Driving School, is qualified as a grade 5 instructor [1 being the lowest and 6 being the highest] and has 10 years experience as a driving instructor. She is patient and a friendly female driving instructor. During your lessons or course, Lorraine provides hand-outs for help with theory and hazard perception and also provides a loan of cd roms and learning cards. She appreciates that we are all individual and with this in mind she will always adapt her teaching to match her clients needs. Areas covered are Folkestone, Dover, Hythe and the surrounding villages. Courses offered are as follows: Weekly, Intense, Pass Plus, Refresher & Motorway. 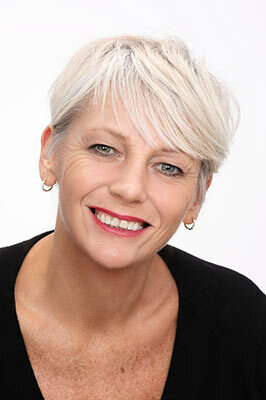 Lorraine has experience with and gladly welcomes nervous drivers and clients with learning difficulties. Affordable lessons are offered with a discount for buying block lessons from 5 hours plus and also offers a discount for students. "Lorraine has been teaching me to drive for the last couple of months and has boosted my confidence no end. Being in my early 40's, I don't find it as easy to pick up as in my younger days, but with Lorraine's support, I now feel confident in my driving. She is always professional and pushes me to do the best that I can, encouraging me every step of the way. Learning to drive with Lorraine is not only good value for money, it's also fun! I know at each lesson, I have learnt something new and I'm one step closer to passing my test.